This one is ready for all your personal touches! Everything is ready to start your own remodel and ready for paint, flooring, electrical fixtures, kitchen and bath remodeling of your choice. Located in a all-ages park with 1440 square feet & 3 beds/2 full baths with easy access to the Pool & hot tub maintained by the park. The sunroom could also be used as a 4th bedroom(approximately 200 square feet not included in overall square footage) that is surrounded by landscaping front & rear with fruit trees & planted shrubs & flowers. 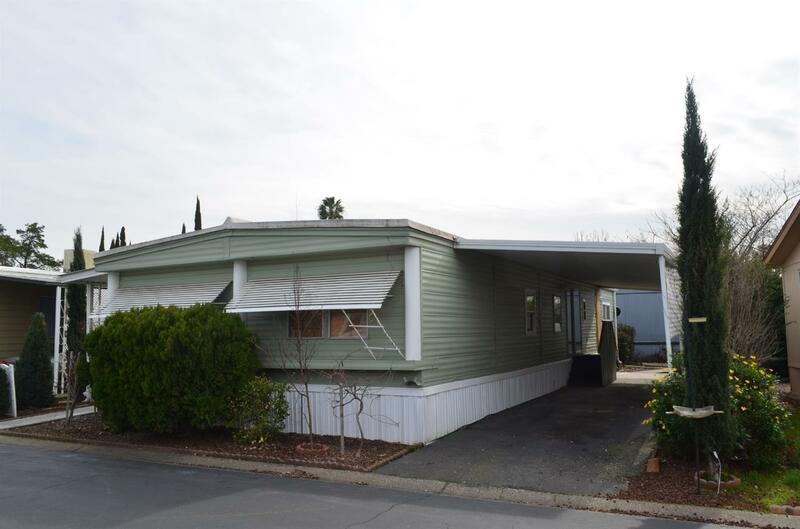 Spacious & open floor plan with covered patio and covered car-port that can fit 2 to 3 cars. Located in the back of the park in the quietest location. Sold strictly as-is. I have a lender that can do financing on this home, contact for details.